I wasn’t actually “there”, but my dear friend, Rae Wyshynski, was there. She lived in Calgary, and I, in Edmonton, in the early 80’s. She is the one that really opened my eyes to the world of food. An avid reader and an analyst, she was, I would say. She took me to the Silver Dragon Restaurant (I think) to try this “new dish” that she (and everyone in town, apparently) was raving about. My anticipation was high. Rae knows how to describe flavour and texture. It was served with more grace than I serve it today. Our bowl was empty. 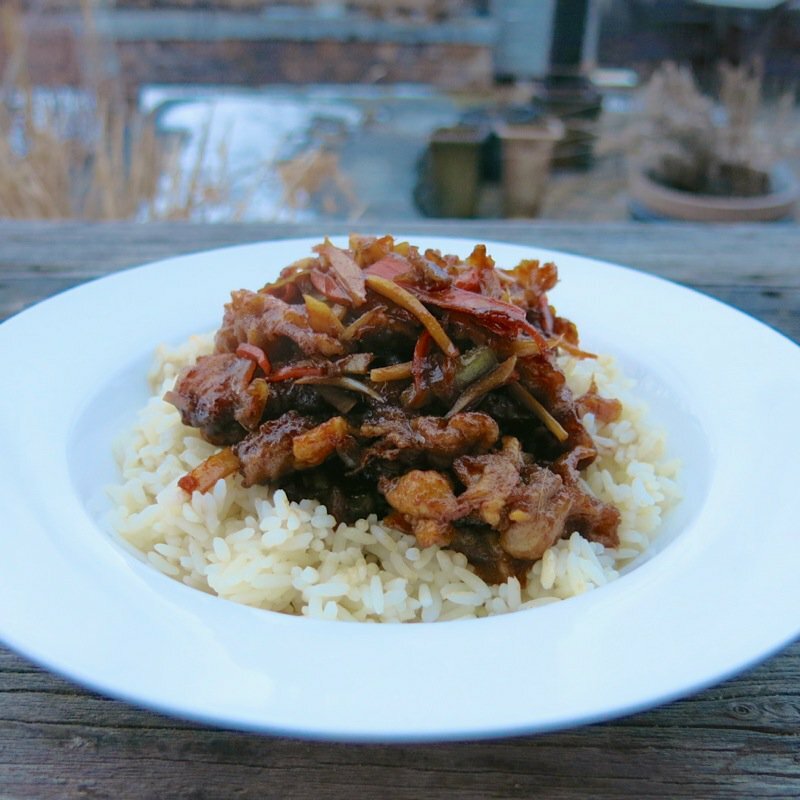 A little rice scooped into it, followed by a little of the crispy ginger beef. So many years later, it is truly difficult to explain to this young population where global flavour is easily accessible as it explodes on every corner. Seriously, “back in the day” this just was not the case. This ginger was “in your face”and the powerful garlic tempered it. Nowhere else was there food available before this experience – this invention – with such a pronounced garlic and ginger combination in our region. We all went nuts. And I mean, nuts. Making it at home at the time was completely out of the question. Chinese food was a complete enigma. That was part of the magic of going out for Chinese food. No one made it at home. Later, we learned to make sweet and sour. But crispy ginger beef? We are speaking a foreign language, here. No one I knew had any Asian cooking experience. I did have Asian friends, but the food culture, as it is now, was not an open one. And, true Asian food was much different than the “Canadian versions” offered to all at the restaurants in “Chinatown”. My palate was so immature, inexperienced and naive that when I did eat at the home of my Asian friends, most often, I didn’t care for most of the dishes served. If I only knew then how simply, and seriously unhealthy, this dish is, I would have learned to make it, and possibly craved it less. I did crave it. 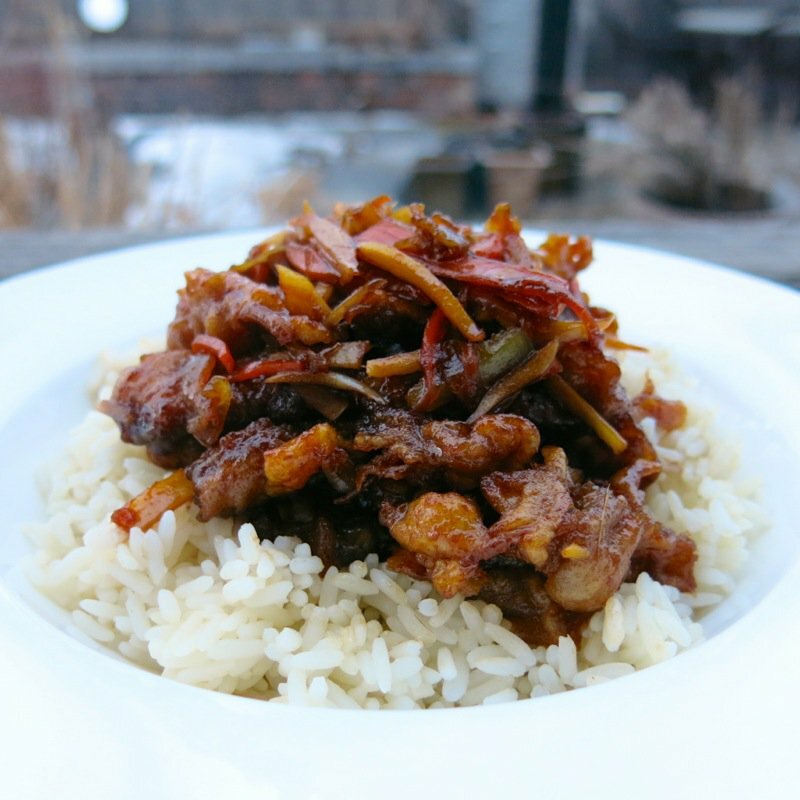 There was no place in Edmonton that sold Crispy Ginger Beef for quite a few years. Ginger beef is not Chinese food. It is as Canadian as it gets. I would say it was at least 4, maybe 5, years after tasting this dish that anything close to it could be ordered in Edmonton. Rae came to visit me one time – on the bus – and I asked, no… begged, her to bring me an order of it. Yes, she did. I could hardly wait to get her home from the bus depot before cracking it into the microwave. OK. It was not as good the next day, but it was still delicious. Eventually, I found a place in Edmonton that served it similarly to the Silver Inn. It was not as dark, though. Not as meaty. Not as complex in flavour. The sauce was thicker and translucent. It was just never the same. But, “good enough”. 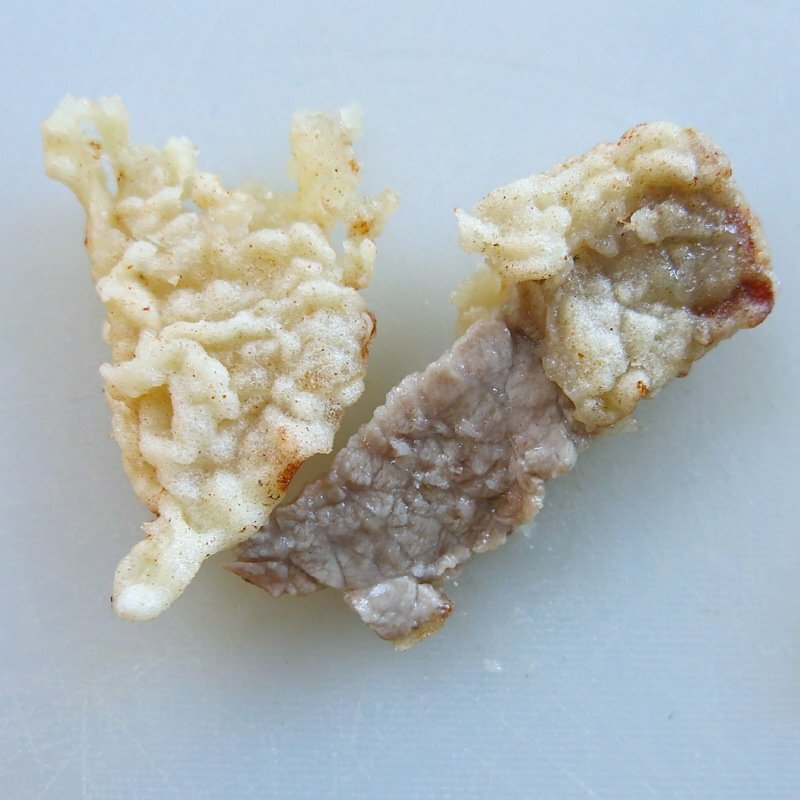 The battered strands of steak are fried until crisp, and that doesn’t mean dark. The sauce will change them to a deep dark colour. When they are crisp, the beef it cooked. I don’t know why I never went back to that Restaurant. Probably because I am not sure exactly which one it was. Two young children. A single parent. So many possible reasons why. Yet, that taste memory is deeply imbedded within the archives of my being. Vivid. Addictive. And a year, or so ago, I was reading More Than Burnt Toast and she wrote about this dish originating from Calgary at the Silver Inn restaurant. That was September 27, 2012 and it went on my “to do’ list. It has taken me until now to make it happen. Her post is well worth the read. Pop on over – in a minute!I looked at the photo of the Silver Inn on google images. That was not the place I ate at. The instructions said serve immediately, but they were wrong. The dish needs to sit in the sauce for a good hour. Even two is better. Just keep it warm. Then you will find the deep, dark pieces of complex flavour and colour has seeped through the entire dish. It will be as intoxicating as it ever was. You will be smitten. Yet, not even close to the flurry caused by the original dish. Firsts are, well, first. The taste of fresh ginger with fresh garlic (not the ground versions) as bold as it was, in a sweet, spicy sauce held irresistible allure. When was the last time any of you can recall this happening in your region: a chef introducing a dish that was so captivating it became a Canadian Classic? I want to hear your story. I am thrilled to tell mine. I was there. Yup. 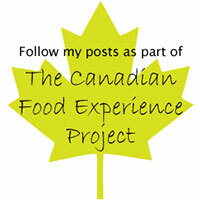 Thank you, Rae Wyshynski, for sharing your world of food, your knowledge, and your passion with me. You passed it forward, and I hope I am able to do the same. Should I confess that it was almost as tasty two days later? DISCLAIMER: These photos were all taken BEFORE the essential 2 hour simmer time necessary for the depth of colour and flavour to permeate this dish. Imagine it dark. Very deliciously dark. Invented by George Wong, owner of the Silver Inn in Calgary in the early 80s, the appeal of this addictive dish quickly spread throughout Calgary, and in time, Canada. This is the original authentic recipe from the Silver Inn. I have added this recipe to my Minute Steak Series, as I made this with Minute Steak or Cube Steak, and it was exceptional! I grew up in Calgary in the 80s and 90s and ginger beef was everywhere! Still is. It is probably one of the things that I miss the most since moving to Edmonton. Still haven’t found a substitute here. 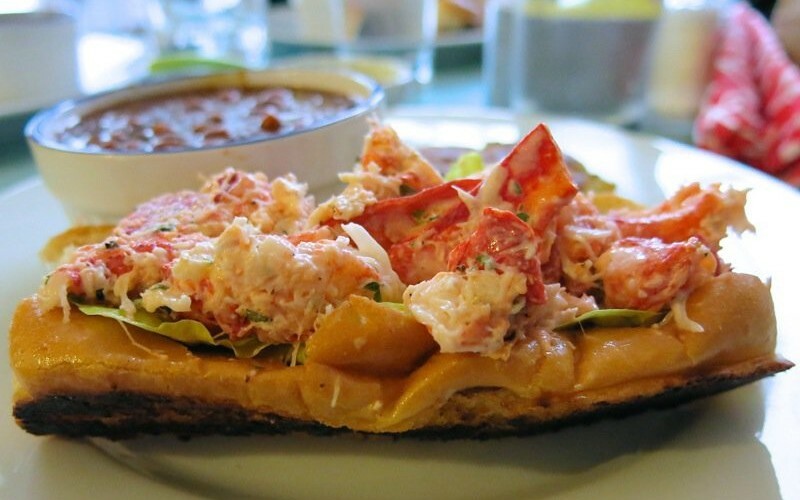 Where is your favourite place to eat this dish in Calgary, Lindsay? Definitely have been there and it was phenomenal. NO argument here! Singapore Sams was a great site when I went there and I went there over several years over the past 25+ years. They have been through ups and downs including some sanitation issues, new owners, etc. I always enjoyed my meals everytime there. The difference is that anytime I was there, they served chewey ginger beef, not the tender beef (still crispy) that the original recipe created. Have they changed that? Thanks for the tip, April! Will have to try it out. I am pretty proud of this homemade recipe myself. Have you tried it? Of course, love going out for the entire spread, too… so have this restaurant in my address book! Try Blue Willow in downtown Edmonton – good ginger beef and good Chinese food in general. I haven’t been there for years, but know that the Lingnan is definitely tops for Canadian Chinese Food in Edmonton. 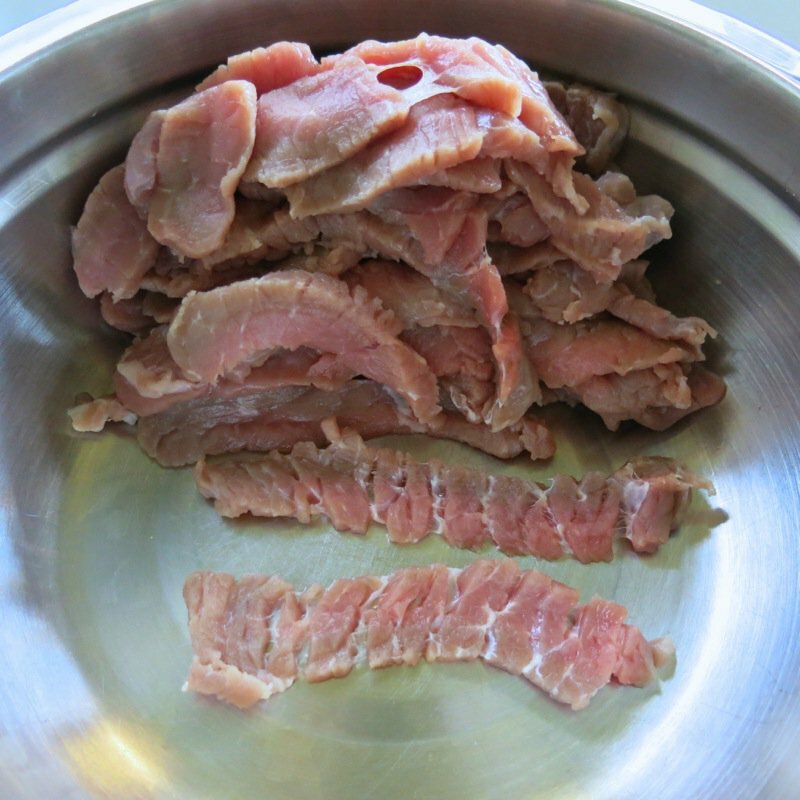 I love ginger beef! Will certainly be trying this recipe. I, too, enjoyed this dish many times while visiting friends who moved from Edmonton to Calgary in the mid-seventies. I also don’t remember the particular restaurants but one I think was off McLeod to the west. The other on the east side but further south. I’ll ask my friends if they remember. Regardless, that fine flavour with the just slightly-still-crispy beef was devine. Thanks for the memories, I am now going to try to replicate it using GF flour and all the other ingredients. Perfect! 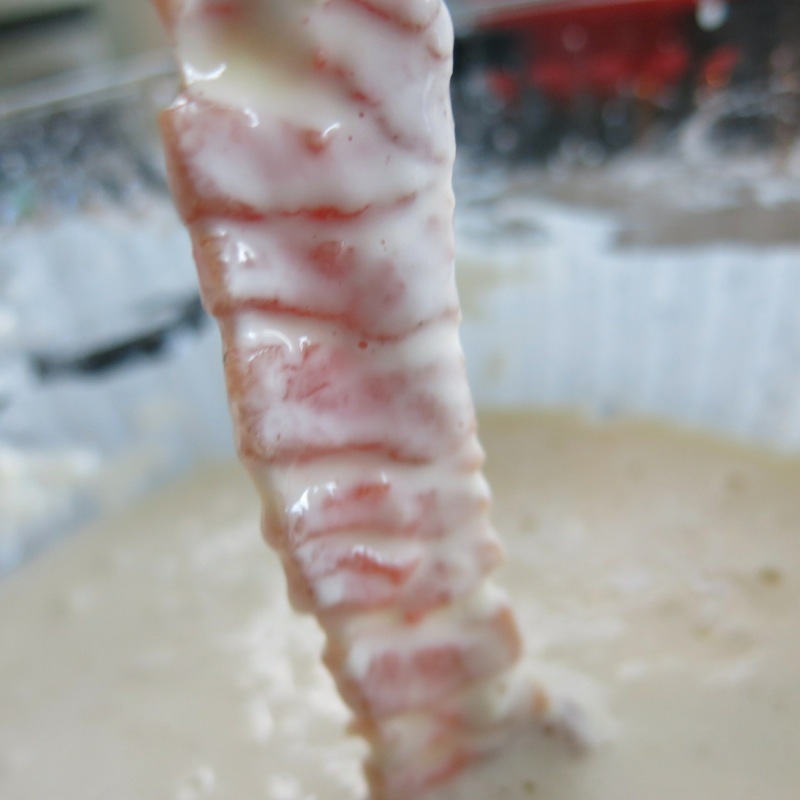 Let me know how it goes – rice flour should work – as that is what I do tempura with: rice flour and soda. Those Asian flavors sound like so good to me! How nice to recall this special place and time. I still have your Mu Shu Pork on my “to make” list, Susan. My goodness Val, this is the stuff of dreams. Deep fried and stir fried. Being unhealthy for a meal like is totally worth it. I am a huge fan of the Silver Inn’s ginger beef. We now live thousands of miles away, and I can’t wait to make this for my family this week! I have a question about the vegetables: the photo of the fresh, julienned vegetables looks like it has celery and onion, and not green pepper, as the recipe does. 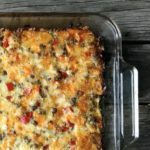 Can you tell me which vegetables to include when making this recipe? Thanks for posting! I did use the carrot, celery and onion as they are my personal preferences. The recipe is there… and it is really up to your palate, me thinks. I preferred the dish after it sat and darkened. MUCH better and more like I remember it. This is going to be a long story, but stay with me if you will. Back in the late 1980’s I ran a Bulletin Board System network (BBS) that was targeted towards agricultural users (remember, this was before the internet, even before it started running on steam). Along the way I met a gentleman named Fred Towner who was trying to set up such a system for UFA. Fred was a gourmand and an excellent cook. His own site was the MessHall. Fred gave me so many tips on good restaurants to visit that I still have not finished his list, including Singapore Baba’s, located in an obscure place in Calgary. Still with me? Fred became a friend of Daniel at the Palace restaurant and told me that it was Daniel who invented the recipe. Fred sent me a copy of Daniel’s how to make it and I keep it close, even though I have only made it myself once. It is so different than the tough stuff you normally get. Yet, last night, I visited a local restaurant in Olds and was treated to the exact same style. He makes it himself, not buying the bulk stuff that other restaurants do. This was a tip from Pavla, who worked there for a couple of weeks before she and her husband went off to manage different restaurant. OK, I am done. Should I post the recipe? Yes, please, Bruce. By all means, post the recipe! I am dying to see it. I will as soon as I can. My wife is the keeper of recipes and I have no idea where she has filed it. I will look tomorrow and if I cannot find it, I will look through my archives of BBS material. As I said before, the recipe originated with Donald but I cannot attest to its provenance as to whether he was the originator. All I know is that it is delicious and tender but still crispy. I also know that I did give the recipe to my chef friend Blake who was quite interested in it. Then when I found our local Ginger House, their Ginger Beef was exactly like the recipe that I had shared with Blake. Small world story but Blake’s wife Pavla was working for Zhus Ginger Beef when I first tasted this latest reincarnation. I have made half hearted attempts to grill it with a special variated plate but no success yet. Keep nagging me so that I can find it, please. My wife has once again reorganized “her” kitchen and I am unable to find my original recipe for the Ginger Beef. She is so reorganized that she is completely disorganized. Even she does not know where she has put that 3 foot group of recipe books! 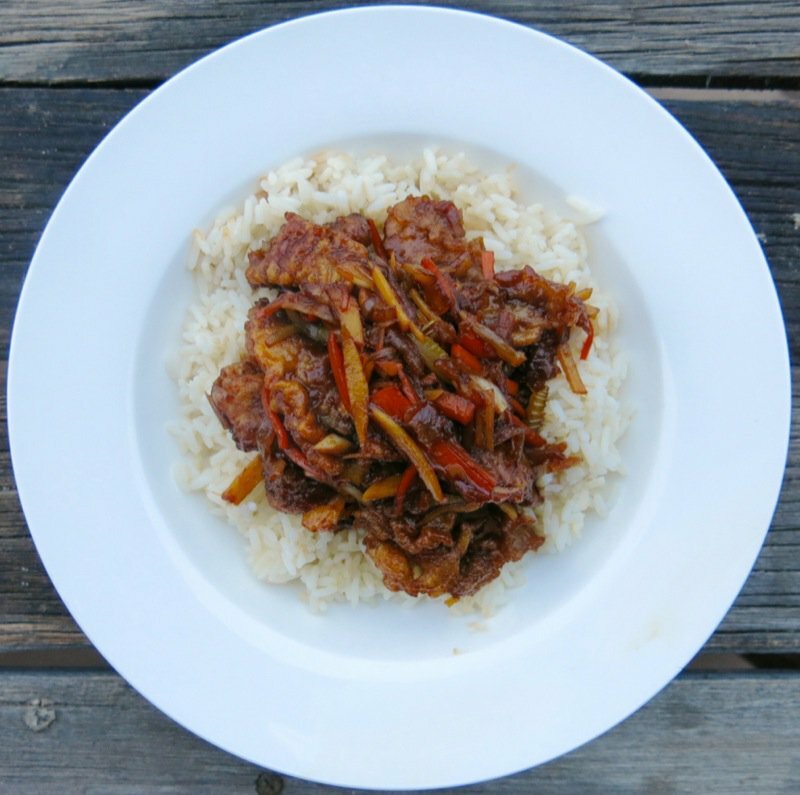 I did download the one you have already posted for Ginger Beef (circa 2012) and I made it tonight. It is true, even though I could not find our Soya sauce, where it is, and might not ever find it again. So, the recipe that you already have posted is authentic and is the original. And it is delicious and tender, even without the Soya sauce. Bruce please post the recipe! Thank you kindly. I’m extremely interested!! Can’t wait to try the flavour again. I left Calgary in 1998 and since been craving it! Oh man, Silver Inn on Centre street. My favourite Chinese joint… She feeds me gluten free, sizziling rice too, and remembers me years between visits. She’s got all the articles framed on the Shredded Beef… a little sensitive about the term Ginger Beef-it’s a misnomer passed around. Attribution was in the exhibit at the RAM too. Oh, now I’m hungry. but I’m not driving for it…today. Oh, and if you visit, take a look at the art on the walls. Not the traditional stuff-the family artist is now doing commission work! A dish similar to this is served at a local Chinese restaurant (Abbotsford, BC). It is my husband’s favorite food, so on a whim I decided I would make it for him and that lead me here. We were not disappointed! We made it together tonight and it was delicious. 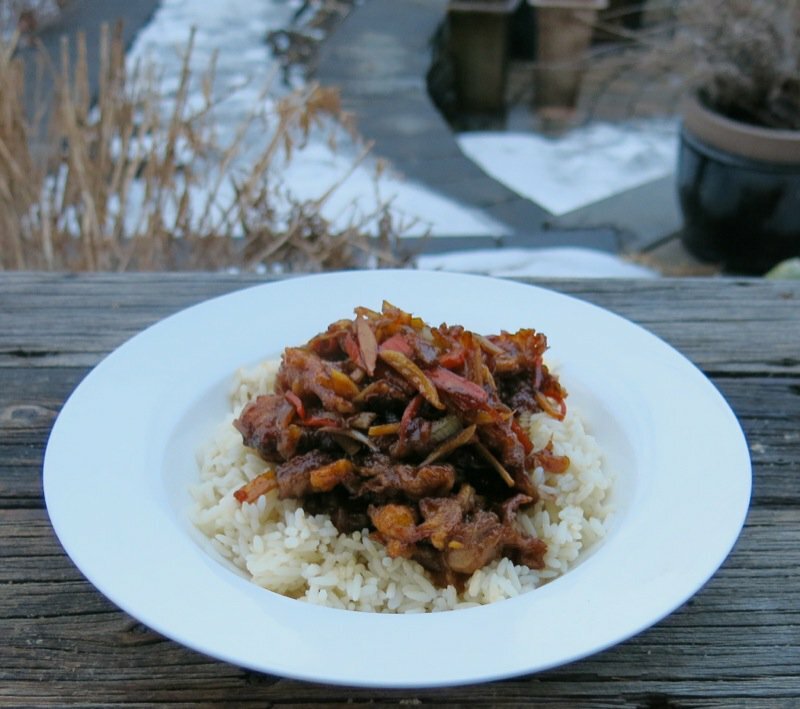 We look forward to trying out your sour cherry ginger beef someday in the future. Thank you for sharing this wonderful dish! Thrilled to hear from you and glad this was a hit at your house! 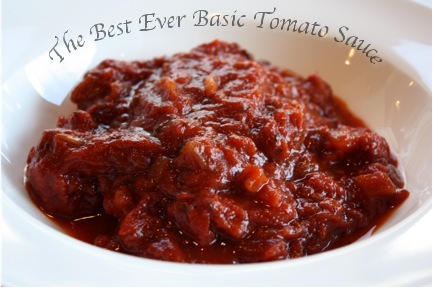 The sauce is super simple and works for many dishes! My reply somehow got truncated but, I was meaning to say: Our favourite restaurants were the original Home Food Inn which I think was run by Alice (on 1st Street SW, about half a block north of 50th Ave S), Kham Han, Charlie Chan’s and the Flamingo Palace. I also remember having “special tea” (beer) in a teapot at the Golden Inn in Chinatown – served in a teapot because they didn’t have a liquor licence. I think you could have special tea beer or whisky, if my memory is correct! I have had such “special tea” in Vancouver after hours at Chinese restaurants. Thanks for the memories and the tips! I found your instruction under “Instruction for the sauce” point # 1.”Stir fry vegetables until crispy…” impossible for me. Please tell me how to stir fry the vegetables and get them CRISPY???? You must have tried the recipe before posting it but I myself couldn’t get them crispy!!!! I believe that the water content in vegetables stop them from getting “crispy”, as to my experience they would get soggy instead regardless how high the heat… HELP! Thanks! Lisa. So sorry for this confusion….the vegetables should be crispy before going into the TM bowl – so by that, I meant – they will not be limp. They should remain crispy, yet cooked. They are very fine, but were crisp when my recipe was finished; however, reheated they were no longer that way. Make sense? I’m a born & raised Calgarian & loveeeeeeeeee ginger beef!! 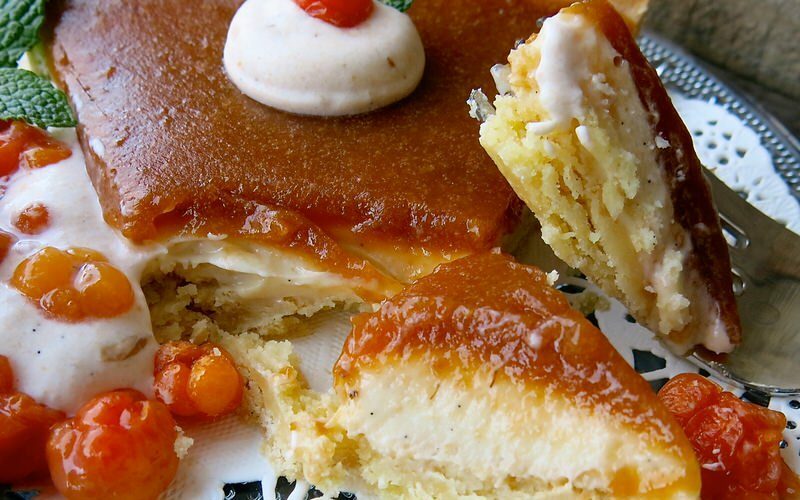 Have you also tasted the traditional fare? Curious about how the Manchu Wok version compares. I’m GF as well and so instead of plain flour I added white rice flour. And I didn’t deep fry, but instead put a couple of tablespoons of avocado oil in my large stainless frying pan. The pieces browned up nicely, albeit with a bit of a greenish tinge from the oil. Which didn’t show up once everything was tossed together. I cooked the sauce separately after doubling the batch and let it boil down a bit to thicken. I’m cleaning out my fridge, so I had carrots, onions and broccoli on hand. The broccoli stems are just as tasty as anything else and I didn’t really miss the peppers, though I will add them the next time I make this because that really is the way it’s served, isn’t it? BTW, we used to go to the Dragon Pearl on 9th, but since the ownership changed a few years back, it hasn’t been the same. Wonderful to hear the GF version worked so well for you! 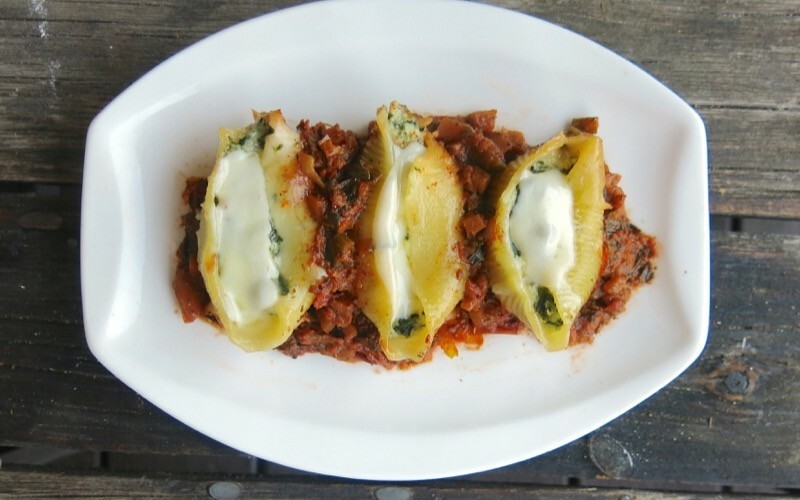 Thank you so much, Michele for sharing your recipe! I just made this recipe for the first time tonight and I think I did something wrong. It tasted fantastic but the consistency was a bit off. 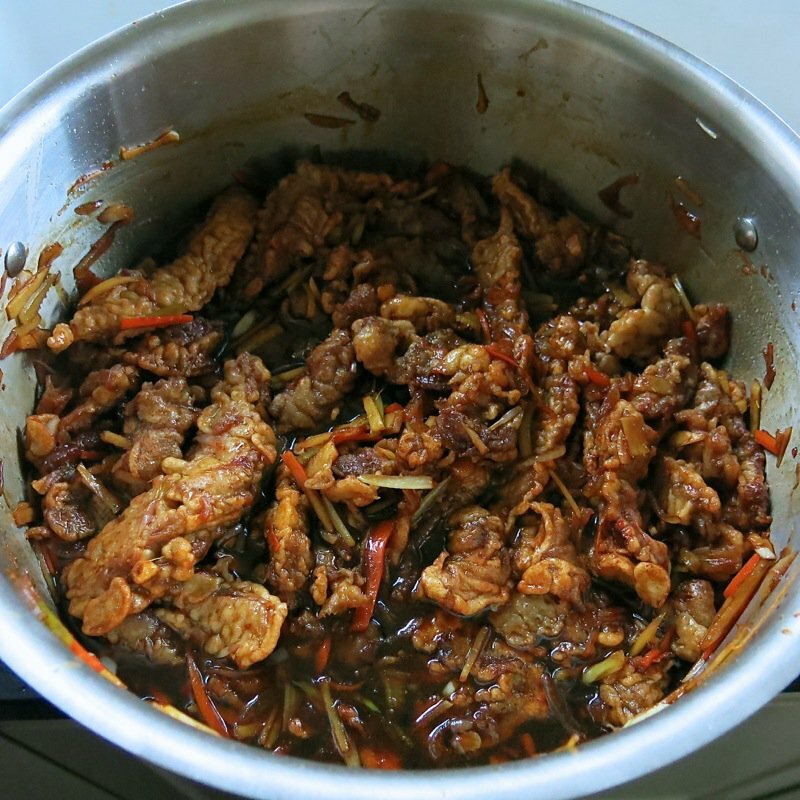 Once I added the deep-fried beef to the vegetables and sauce it got quite mushy…do you have any recommendations for what I can do differently? 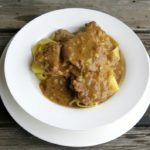 Thanks for sharing the recipe, I am originally from near Edmonton but now living in Germany and have been craving Ginger beef for quite some time. I had no idea that it originated from Calgary! HI Samm… though it is called crispy ginger beef, it isn’t crispy, nor is it mushy. You will remember from your time eating it in Edmonton. 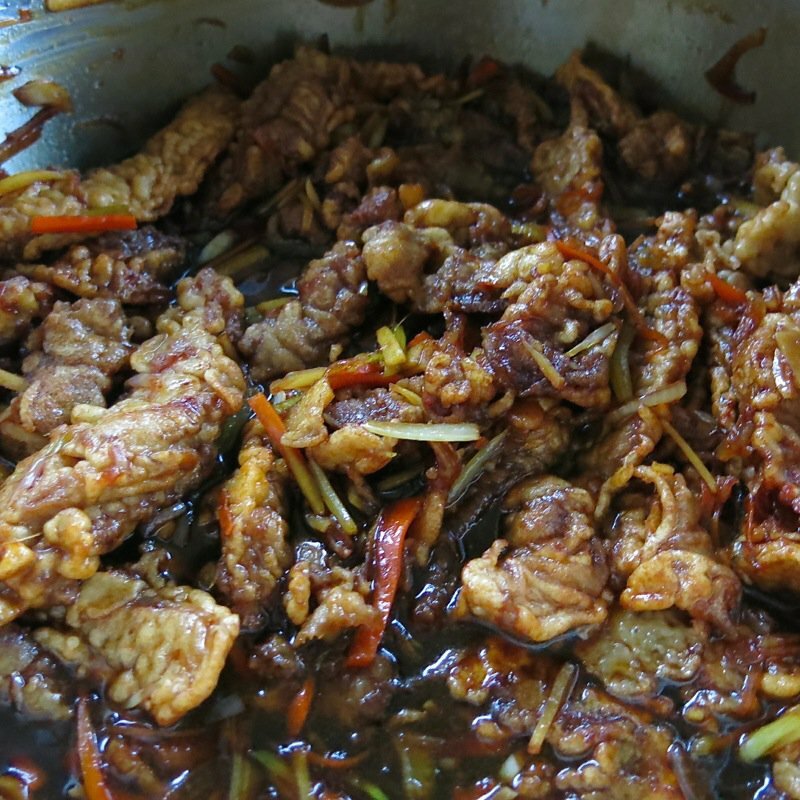 The beef is crispy until mixed with the sauce, then becomes chewy and delicious. Not mushy, though. I found the same thing, Valerie, as I was expecting what you describe as “chewy”. Mine was mush. But still good because I will say, this sauce is AMAZING! If you discover the secret of the CRISP bit – let me know! I first had Ginger Beef at the Wok Inn in northwest Calgary. Probably in early 1980’s. I have been hooked ever since. I am so glad that I found a recipe for this that is authentic. I get it all the time down on 17 Ave in Calgary at a place called Kings. Usually paired with salt and pepper beef (which is the deep fried beef just tossed with salt and pepper) and steamed rice. Now I can make it at home. Gonna have to try and figure out how to gluten free it as my roomie has a severe intolerance to gluten. 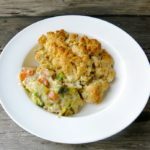 Gluten free is never easy to duplicate from a recipe that has gluten – but let me know how it goes! Glad to find yet another lover of Crispy Ginger Beef! Back in the mid to late 1980’s, we would also go to Kings (Center & 17th) for lunch at least twice a week. We would all get their amazing Wonton Soup and share a plate of the ginger beef. Unfortunately, we had to move east and I really miss both the soup and the ginger beef. Try this recipe, Danny. It really isn’t too difficult to make. Not healthy, either, but delicious! Let me know what you think! Calgary has always had some great little independent restaurants. Hi Valerie, just want to say thank you for the best Ginger Beef Recipe! Your instructions were very helpful! Living in the Vancouver suburbs I have not come accross a good take out for this dish yet. It’s worth making at home. 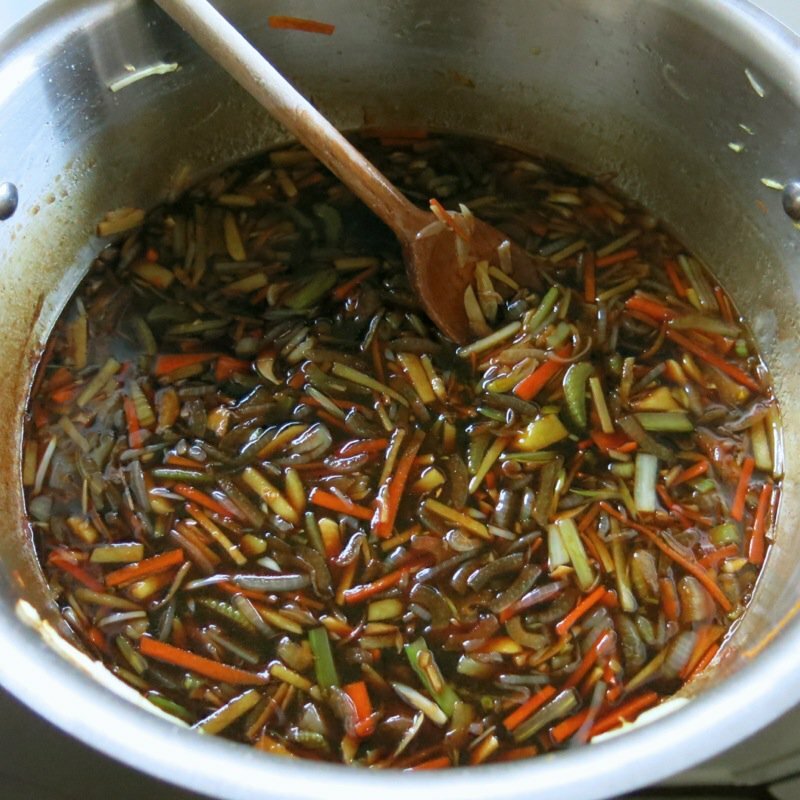 The flavours from the amount of ginger, garlic peppers and carrots are wonderful. 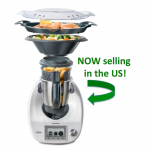 What a thrill to hear that you were able to enjoy this dish in your home kitchen! That’s why I do what I do and thank you ever so much for chiming in Karen! Just wondering if the restaurant you are thinking of could be “The Silver Dragon”. They are upstairs and a wonderful place to eat at least last time I was there. They have been around for a very long time and in fact now have a restaurant in Banff. thank you for the recipe. I’m going to try it as soon as I get a chance. I bet that IS the restaurant! I will check it out when in Banff next. Thanks for the tip! Let me know how you enjoy the recipe! Thank you so much for publishing this recipe! As a native Calgarian retired to the Okanagan and Central America — delicious ginger beef is hard to come by!! We love it so much, I can remember requesting my hubby to sneak it into the hospital 29 years ago after our first child was born. I also remember, many times, opening the fridge, flipping off the see-through take out dome lid, and sticking a fork in and eating it cold (can’t believe we had left-overs). 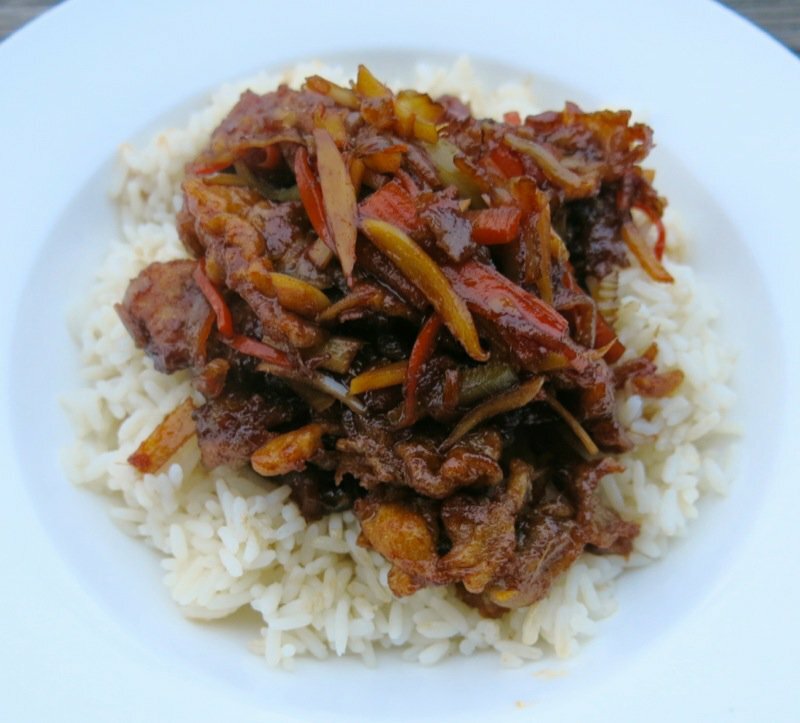 I made it today, as a way to use up some chicken – although we were craving that sweet, sticky, crispy, chewy beef. It was superb! Best meal in ages!! Thanks! 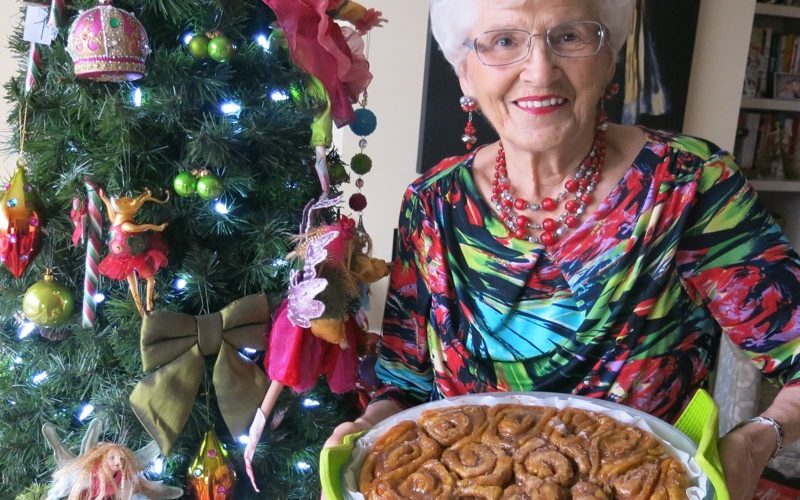 I am so tickled to hear that you found such pleasure in this recipe, Bonnie! 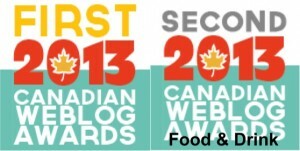 That is what food blogging is all about. Loved the little image of your cold call ravage in the fridge! It totally reminded me of getting my girlfriend to bring it up in the bus with her from Calgary. What a great story, Heather! Thanks for sharing as it enriches the experience for all of us. Please let me know how you find this recipe! We left Calgary in 2001 and have not had Ginger Beef since. Thanks for this. Someone mentioned the Home Food Inn. It was my fav for years but in the old location one block east of Mcleod Trail. Alice ran it and it was better then before it moved. Thanks for chiming in, Will! 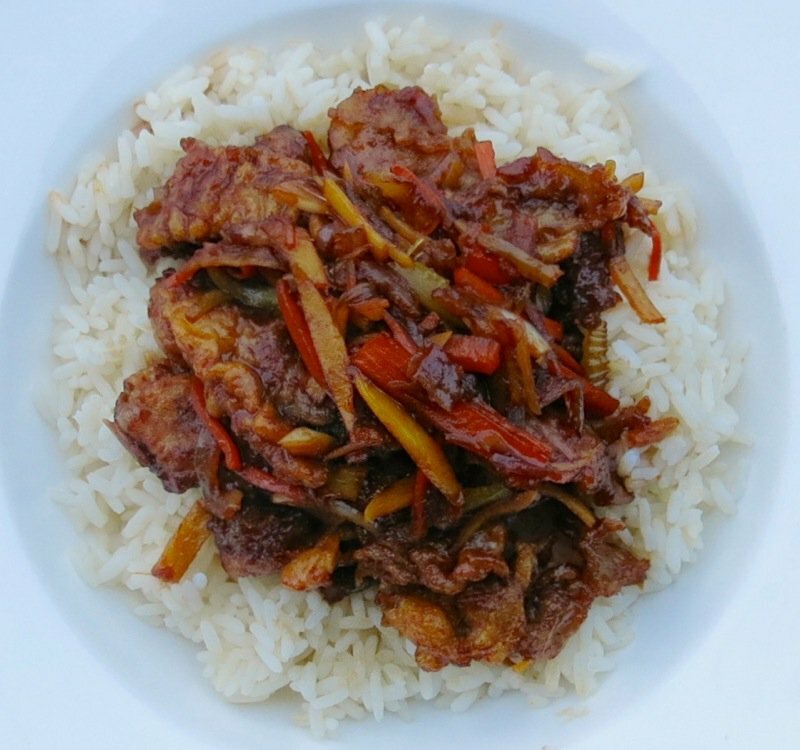 This Crispy Ginger Beef does have its cult followers and I am certainly one! We made this dish for dinner last night from the recipe you posted. It was great and I even have leftovers for lunch today. Yum. We made it mid-afternoon and put everything in the crock-pot and left it heating for two hours until we were ready to eat dinner and the rice was done. It will make another appearance at out table before long. Another great recipe to add to the repertoire. I lived in Calgary for about 2 years (2000-2002) and was introduced to ginger beef during that time. My friends and I used to frequent a “hole in the wall” establishment in Bowness; take-out only, and I cannot tell you how many orders of ginger beef I got from there (I wouldn’t be able tot ell you the name of the place). I made this recipe tonight as is written and it was fantastic! I will certainly be making this again in the near future. Thanks again for sharing! Thank you for letting me know! Warms my heart! That’s what I do what I do. 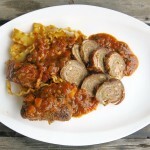 I am so glad the recipe worked for you and hope it will become a staple in your repertoire! Just watched the video. Very interesting. Definitely would be delicious, but not exactly the authentic original recipe in my humble opinion. Though, would be interesting to taste the recipes alongside one another. Thanks, Alf! Have you made both, or either? Have you made this one, Alf? So many memories! My favourite ginger beef was at Shan Tung, now closed. I think it was on Crowchild, then later on 14th street NW. Thanks for this, I’m not sure I believe I can replicate the magic, but I’ll try! I wish I could have had the original beside this recipe to really taste each side by side. But, without that, this will taste “identical” to your taste memory, me thinks. Let me know what you think! The best ginger beef I ever had in Calgary was in the 80’s at a restaurant called Charlie Chans. I live in Saskatoon and used to get ten orders to go to bring home and freeze to have later. The frozen ginger beef was still better than any fresh I could find in Saskatoon. Thank you Valerie for this recipe. I have made it and is better than any restaurant here. That is wonderful to hear, Bill! Love your Crispy Ginger Beef enthusiasm! You sound like a like-minded pal! Getting my friend to bring it up on the Greyhound from Calgary was a bit of a stretch in my mind, but I feel perfectly normal now!!! Thrilled you made it and enjoyed it! I read your story, but it differs from what I was told in the early 1980’s here in Calgary, which is that the dish was created by chef Peter Mang at a cooking school in Hong Kong, when each student was instructed to create a new dish. When the beef came out with a lovely flavour but was way too chewy, Mang thought he had ruined it, but everyone loved it. Mang came to Calgary and opened a restaurant called the Yum Yum Tree on 17th Ave, SW, which was there for close to 20 years. Mang subsequently went to Halifax, where he opened another restaurant. Perhaps the good people of Halifax can add more to these urban myths! I don’t think what I have written is an urban myth. I did spend considerable time researching the subject and have actually lived through the time when the dish was created. I have never heard your story…. I grew up near Calgary and when I read your story my heart quickened because it had such similar emotions attached. I have been hunting the elusive taste if ginger beef for decades. I have no idea what the restaurant was called our family visited ( it was in a more industrial part if the city and looked like a bit of a rundown shack, but oh my, the food!) I haven’t yet tried your tecipe, and sadly will have to tweak it as I can no longer enjoy wheat or eggs ( but am confident I can do this with little taste change). Looking forward to introducing my family to this taste from my childhood!! Please do let me know how your version of the recipe goes and if you love it, share how you made it as I have a niece-in-law who cannot eat eggs or wheat, and I don’t have a lot of experience with those kinds of alterations. I would love to make this for her “your way”. Was the restaurant Singapor Baba’s? Sounds like it to me. Wonderful cooking including a whole baked fish. In SE Calgary. Thanks for the referral, Bruce – definitely will try it out next trip down. The best place to go for Wor Wonton and spring rolls is in Acme, Alberta. The other stuff on the menu is mediocre, but those are worth the trip. I also second Cherry Inn for Western Chinese food, although the Ginger Beef Restaurant is also really good. Thanks for the tip, Nicole! Will put that place on my list! 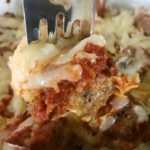 A shot in the dark, but do you know how one might substitute ingredients to make the recipe low carb? There aren’t many carbs here, more fat! I will leave your question here for others to answer. I also read one person’s comments on Kings for soup. Yes, yes Kings off Barlow Tr and Center Ave served up HUGE bowls of the best won-ton soup I’ve eaten. A note; I always ordered the gingered chicken rather then beef (same method) because the beef becomes too chewy. Thank you for all the hard work Valerie – will try it ASAP. Looking forward to hearing how you enjoy the recipe, Brenda! Thanks so much for the trip down memory lane. Was a Red Deer gal, as I said, but many a great Edmonton and Calgary haunt was investigated in those days. Why does the Crispy Ginger Beef recipe call for green pepper and red pepper yet your plate of julienned vegetables shows carrot, celery, and onion (along with the ginger and garlic), but no peppers? I have been away. Sorry for the tardy response. There are no peppers in my recipe. Your eye is fooling you. Scroll down and follow my photos carefully and you will see what looks like yellow peppers is the ginger, and the red pepper looking strips are the carrots, etc. I used only what I said I used and photographed the recipe just as I made it and as it was written. Hope that helps and hope you try it. DEEEE-licious! This post has been up so long and no one has pointed out that my photos are different than I wrote in the recipe. Thank you for that. I read it three times again today as I could not imagine why I didn’t include the change in the recipe and in my writing. When I ate it for the first time, it had the simple garnish I pictured in my images. Carrots and celery with the rest. The authentic recipe, however, includes the peppers. I have made it both ways and the reason I photographed it one way and included the recipe as it is was because of my first experience. I simply cannot believe leaving that part out of the writing, it is still as vivid as yesterday. 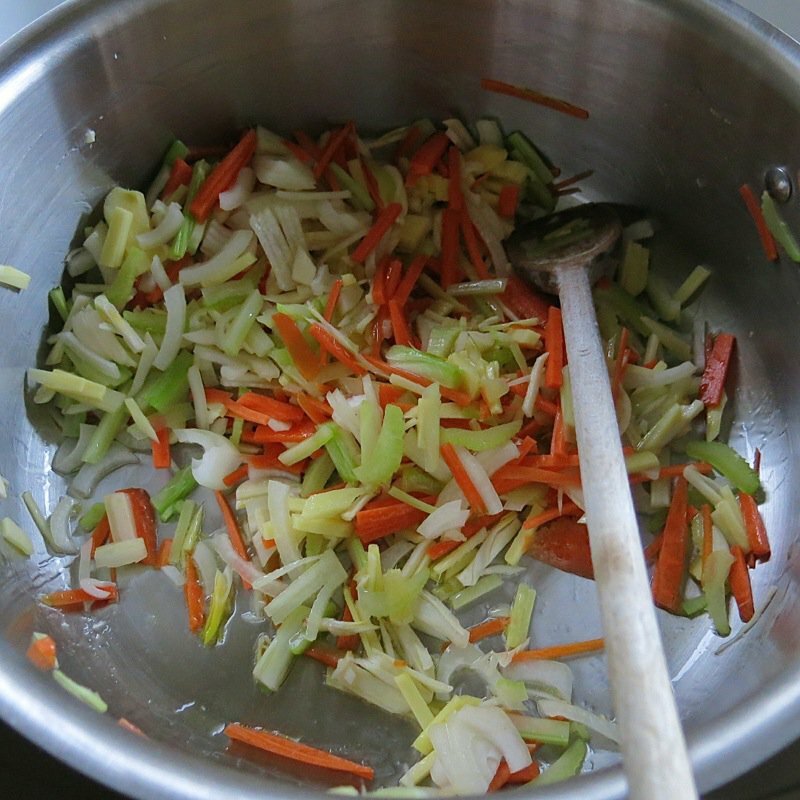 I will tell you, however, that the garnish – per se – peppers and carrots or celery and carrots – do not change the flavour or texture of the recipe at all. They simply change the appearance. That was my biggest surprise. 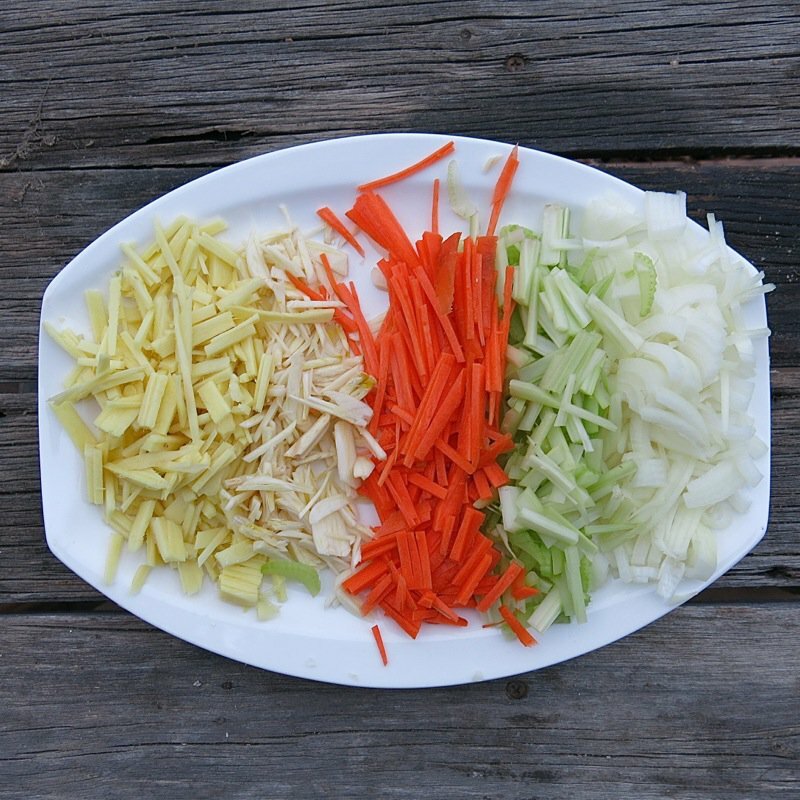 Of course the garlic and ginger are critical to the flavour – but the carrots, celery and peppers? Not. If I tasted both versions with my eyes closed, they would taste exactly the same. Mouth feel would be a little different with the peppered version softer on the palate. PS – I am changing my recipe app shortly. You said you wanted to rate it a one and it only accepted 5’s – but I usually hear the reverse. We made it with all the items shown on the plate and it is definitely not a 1. A 4 (maybe 5) for sure. Thanks for sharing. Thanks, Ian. Most love the recipe and find it truly authentic, so am glad the prominent flavours did it for you. MMmmm! That pickled ginger recipe looks like a keeper! Thank you for sharing it! Thrilled that you loved the recipe. We do as well, and it really isn’t too difficult to make, is it? Just sooooo yummy! I’ve made this a few times and the recipe is virtually perfect. You really nailed the sauce and the inclusion of the slivered aromatics is brilliant. The only thing I do differently is sometimes double fry the beef. A par-cook first, let it cool, then fry before mixing and serving. Sincerely appreciate you taking the time to chime in with your expertize, as well! I believe you are getting two different reaturants confused. The silver dragon is as you describe in the dialog.The silver inn where the recipe comes from is not even close to the silver dragon. The silver inn developed rhe recipe in the 70’s i believe around 1976. The resturant still exists and its a one story resturant in a district called Tuxedo. The silver dragon is in china town in central calgary. The silver dragon does make a ginger beef also but they were not the original. I have also seen the pictures used in your blog on another blog. Ill fond it and send you the details. I lived in Calgary from 1996-2005 and the Ginger Beef at the Ginger Beef Peking House on Macleod Trail SE was where I went, or ordered out, when I had cravings. Since moving back home to Wyoming I’ve never been able to find the dish as I remembered. Crispy, sweet, spicy and delicious. Thank you so much for this recipe! I can’t wait to try it! Let me know what you think, Mary! Others that have made it say it hits their happy spot! I still live in Calgary and live across the street from the Hawkwood Inn who makes Ginger Fried Shredded Beef as good as the Silver Inn and the Silver Dragon (I still patronize all three, Dim Sum at the Silver Dragon is a rite of passage for most Calgarians, try the silken tofu desert dish when it rolls by). Today I was tasked with making a stir fry using tofu instead of beef. There is a tofu variation served at Buddha’s Veggie restaurant in Calgary, mere blocks away from the Home Food Inn’s original location (they lay claim to the dish’s creation as well.) . I searched the net for their recipe and found yours. The sauce is spot on and worked well on fried cubes of medium firm tofu. Thanks so much for chiming in! I must get back to Dim Sum at the Silver Dragon – I believe it was about 30 years ago when there last! So happy to hear you were tickled with the sauce.